Estimated reading time: 25 minutes. There are two main reasons sales CRM adoption fails for sales teams trying to increase their performance. But first let me get the basics out of the way to get everyone up to speed on the terminology and what a sales CRM is. What is a sales CRM and why use it? Do you need a CRM for sales? 5 signs. 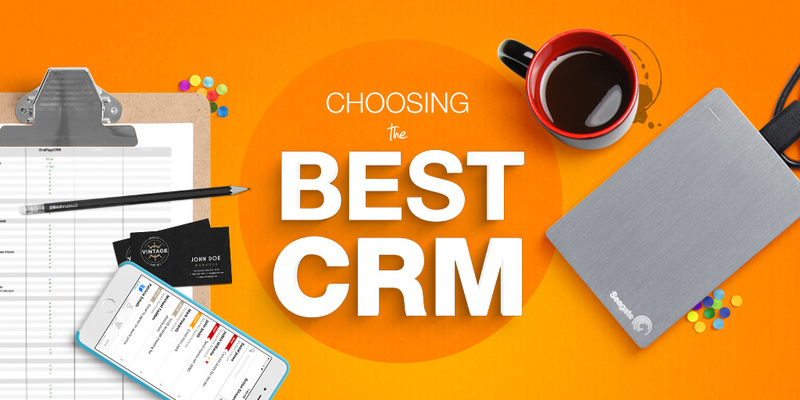 6 steps to selecting and choosing the best CRM for your business. The core features of a great sales CRM. The 12 reasons CRM user adoption fails. What is a CRM for sales and why use it? A sales CRM or Customer Relationship Management tool is software used by sales and marketing teams to track the interactions you’ve made with your contacts and customers, and manage follow-ups. From something as simple as tracking when you last emailed them or sent them a birthday card, up to what they ordered, where they are in the sales cycle when deciding to purchase from you. This all sounds easy when you have 5-10 customers (and it is). However, it fast becomes unmanageable when you have 100, 500 or more customers and you are talking to different people within those companies. As companies and sales teams grow 65% of businesses adopt a CRM within their first 5 years. In fact investing in sales CRM technology became a top priority for organisations last year. In larger organizations a CRM ensures all departments, finance, support, marketing and sales all have the same information and makes customer interactions more efficient and effective. The sales CRM software market is expected to grow to a $36.5 billion market worldwide in 2017 – According to Forbes, Businesses all over the globe are leveraging the power behind this system! 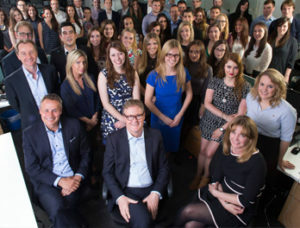 Case study Award winning London PR agency PHA Media knew from experience that things could quickly get out of hand with their new sales team if a sales process was not put in place. Charles wanted to keep their sales team focused on the sale so they needed a tool which allowed them to predict revenues and manage follow-ups in a timely manner. Prior to using a CRM, they had no way of knowing who had previously reached out to prospects. This was also a real pain point for the team as it often led to extra admin work – checking if other colleagues had reached out and when. The resulting sales process resulted in an 84% increase in lead traffic for the company. In a sales team, a CRM can assign territories and customers to individual sales people. This ensures no one else is trying to sell to the same people. The right CRM will also guide a sales person on their sales process. It ensures customers are always followed up with and more deals are closed as a result. Research from The Bridge Group of 355 leading B2B sales teams revealed that “sales development reps who make 12 contact attempts (instead of the average 8) perform 16% better!”. Without a tool to manage those interactions opportunities will be missed. Your CRM will deliver a ROI of $8.71 for every dollar spent. – Nucleus Research. Management can get insights into the sales team and deal pipeline for the future and look for opportunities to optimize the sales process. There are as many different versions, iterations, add ons and names for CRMs on the market as there are different types of industries. But at the core, nearly all CRM software have the below features in common. Do you need a CRM for sales? Think for a moment, can you remember the names of all your customers and prospects? As a general rule, you need a CRM if you can’t remember the name of every customer and prospect you deal with. It means you are starting to let opportunities slip through the cracks and forgetting to follow up in time.. Leads and opportunities are not followed up and lost. You begin to get bad customer or potential customer feedback. You lose important data. Well, you know it is somewhere but you can’t remember where. The sales cycle has too many touch points to keep track of. You can no longer remember the history of leads and customers. Before you start. 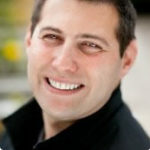 The #1 reason CRM adoption fails! It is easy to buy software for your business. It is less easy to get everyone to adopt and use it day to day. Low user adoption is one of the biggest (and expensive) reasons why software fails in an organisation. Salesloft report CRM adoption rate at less than 50%. One of the biggest reasons users do not adopt and use a CRM is due to neglecting to clearly define the business objectives for the CRM. A. Improve the efficiency of your business. B. Expand the number of customers you have and the business you do with them. C. Enhance the performance of your sales, marketing and support teams. Select 3-5 CRM applications you think might be a good fit. Do a google search and ask around your network for recommended solutions. Choose a list of core features and evaluation criteria. Check our list below or use this ready made list. Obtain the total price for delivery (Inc all setup, integration, onboarding costs and training). Score each sales CRM on how closely each CRM feature matches your criteria. Research and get a demo or webinar from each. Count up the results using this score sheet and select the winning CRM vendor. Ensure the CRM is within your budget. How many user seats are needed? Are there set up costs? Ongoing support costs? On-Premise solutions are usually expensive. The expenses include the cost of software, hardware, installation and administration. Depending on complexity, these CRMs will cost from several thousands to tens of thousands dollars. This may not be feasible for many small business companies, but might not be a problem for large corporations with an inhouse team. Online sales CRM systems can be as low as a few dollars per month, but keep in mind the payment is usually on-going, you pay as long as you use the system. At the same time, you can always stop using your current Online CRM and easily switch from one solution to another as you are not usually tied to a long term contract. An online solution frees up your sales and management team to access customer data from any location. An on-site solution ties down that data to a set physical location. The best solution depends on if you need that freedom. Your sales reps are going to have ongoing questions about the CRM and how to use it effectively. New team members will join as you grow and others will leave. A good CRM will have a great customer support team to help your sales team use the application to make more sales. Look to see if the CRM offers support in your time zone. Is it just via email or an online helpdesk ? Or do they offer live customer chat, webinars or phone support? Back in 2016, access to the web via mobile devices finally over took desktop usage. 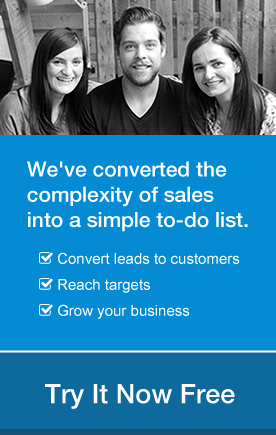 Your sales team wants and needs to access sales information 24/7, in and out of the office. Mobile access is a vital component to their success. In fact according to Nucleus research sales reps saw productivity increase by 26.4% upon adding mobile access to their CRM application. Not only will a mobile CRM increase sales productivity, it’s also a significant factor in helping sales reps meet their sales quotas. Ideally your CRM of choice will have dedicated Android and iOS mobile and tablet apps to give you and your sales team access from anywhere. Ensure you can access all the key functionality you need on mobile as well as the desktop, as some mobile sales CRM apps offer a cut-down feature set of the full application. Some companies sell to one particular contact within a company. Others sell into a company and deal with many different contacts across different departments. Account based selling describes the goal of selling into a particular company, drawing up a list of possible contacts within that company and systematically targeting those contacts to get a foothold within the organisation. 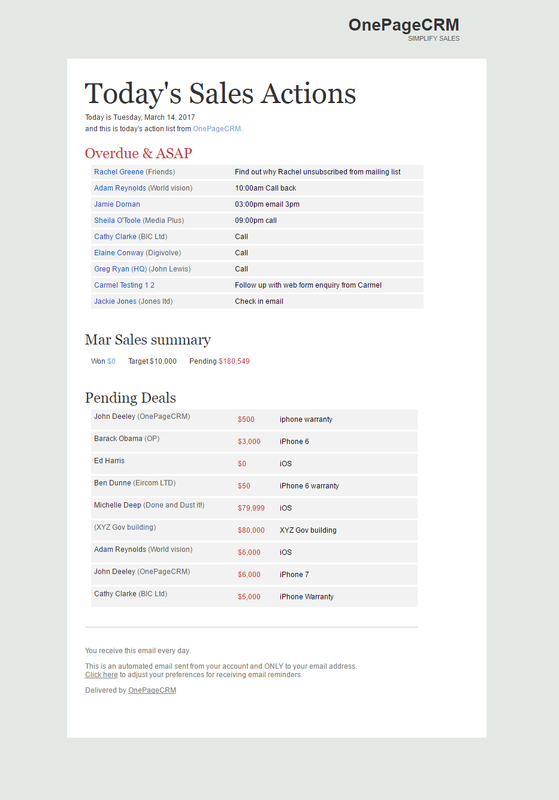 If you are selling to individual contacts a simpler CRM for sales is fine for you. If you are doing company or account based selling your CRM needs to understand the relationship between contacts, the company they work for and associated contractors and consultants they have relationships with. Capturing duplicate contacts and leads is impossible to avoid. Contacts get entered by different members of your teams and sometimes automatically if your systems are connected. And the same contacts will sign up to many of your campaigns and offers. Ensure your CRM can search and find duplicates and allow you to merge them into a single contact. The higher the quality of your database the more your teams will trust it and less resources are wasted. 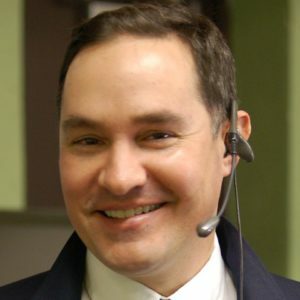 “When I had my first CRM for sales, I had about 2000 contacts in it. Even a small CRM like mine was degrading at nearly 2% per month, according to D&B. People change jobs, they change their names, and business data goes bad, fast. Beyond simple contact management, your CRM needs to understand the concept of what a sales lead is. Ideally, it should be able to track where a lead came from and what stage that lead is at in the sales process. A CRM will allow you to assign leads to particular sales people for follow up and moves that lead through the sales stages towards closing a deal. At the last stage of a lead funnel and sales process you need the ability to create deals or opportunities and attach them to contacts. A sales person can then see if they are on target and management can begin to see their projected revenue for the future and plan accordingly. 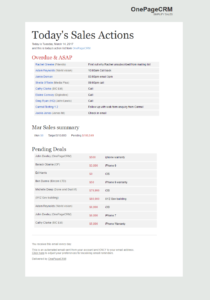 It is essential for a sales person and team to record their activities within a CRM. Being able to see when you last contacted a lead, what their response was etc. You build up an invaluable picture of a contact and the effort and time it takes to close a sale which in turn allows you to plan for the future. At a management level a sales manager needs to see how their sales reps have performed. Every so often you will need to contact just the customers who bought product x, or maybe the ones in a certain city, or the leads your team captured at a conference, or downloaded a resource from the website. Tagging, grouping and segmenting provides multiple ways to slice and dice your customer data for analysis, marketing and targeting. Not segmenting sales CRM data. “I remember the first time I sent out an email blast to my entire CRM. (As you may know, email marketing is one of the most high-ROI activities you can do). I have never seen such a high opt-out rate. I really screwed up by emailing all 8000+ of my customers and partners the same message. From that day forward, I segmented my CRM into 10 different messaging segments. Here’s a few that I’ve used that might be easy ones for you to do. Think “sales” or “marketing.”This type of segmentation can often be automated. I’d segment this one two ways – junior-level folks and senior-level folks. Once you slice your CRM data in half, you can always dive deeper later. Every business and organisation is different so out of the box no CRM for sales fits everyone. A good CRM needs to allow for customisation. Ideally you should be able to add your own custom information to contacts, accounts and deals relevant to your business type. There is nothing worse then having to hunt down files, specs, quotes and other documents across different folders, email inboxes and systems. The last thing you want to be doing is wasting a sales person’s time. A simple feature your sales CRM should be able to accommodate is attaching documents and files to a contact ensuring all data is in the one place and never gets lost. The biggest difference between high performing sales teams and low performing teams is process, and persistence. The bridge group researched over 300 high performing sales teams and found that high performing sales development reps followed up with contacts on average 12 times. On average teams reached out just 8 times. One of the key drivers is never finishing with a contact without setting a Next Action on how to follow up next. It is a small thing but a huge driver of performance. Says Adam Metz, “I remember, when I was a kid in the late ‘80s and early ‘90s, my dad would come home from work at his consulting job and put a bunch of pieces of colored paper on the dining room table, and write on them in longhand. At the time, it looked kind of funny, my dad sitting at the table, playing with what looked like construction paper. I later learned that these papers were the famous “blue sheets,” “green sheets” and “gold sheets” from Miller Heiman’s Strategic Selling. “It’s so that when you’re selling, you don’t wing it,” he said. I never knew that sales was a systemic process. Ten years later, I had learned this method, and I still use it today. After a certain number of leads and contacts the best sales person is simply not going to remember when they should be following up with everyone, what appointments they set and what the next actions are. Look for a CRM that will, not just notify your sales reps what they should be doing and when, but also prompting them to set the notifications in the first place when they are finishing their last interaction with a contact. Too much data entry, while great for management reports, is simply a waste of a sales persons time. It’s time they could be on the phone selling to a prospect. And sales people know this. A certain amount of data entry is needed to be effective but it needs to be as easy and as fast as possible. You want to be paying your sales people for making sales, not data entry. Look for a CRM that provides tools for automated data entry. Many CRMs have browser plugins that will detect a leads contact details on a website and automatically import them into your CRM without having to retype or copy and paste it in. When your marketing team assign a list of leads they collected at a trade show, you need to be able to import them in bulk to the CRM. The most common method is the ability to import a .csv or excel file containing all the contacts in one go. When your website or marketing campaigns captures a lead, ideally that should automatically be imported into the CRM. Some CRMs provide the lead capture forms for your website directly. But most integrate with a range of 3rd party systems that will push the contact details to the CRM. Two of the most common email platforms. A good CRM for sales should be able to import contacts and emails to build a history for a customer or company. Even better is if you can connect Gmail or Outlook to the CRM and then send emails directly from within the CRM application without having to switch between different systems. Bonus points if the CRM then allows you to track if your emails were opened by a prospect. Integrations with an email marketing platform like MailChimp will allow you to quickly select a segment of your contacts and send them an email newsletter. An example would be selecting all the contacts you met at an event and sending them a bulk email to thank them. You can include further details on how to follow up with you. Or you might notify all or a segment of your customers about a new product update. Ideally this should work in two directions. Before you call a contact, you should be able to see in the CRM if they paid their last invoice or what their last purchase was. When you make a new deal with a customer you should be able to send the details of that deal over to accounts to create a new quote or invoice. The ability to connect your CRM to marketing is a huge opportunity for sales. It gives your sales reps the ability to see when a new or existing contact downloaded a resource from the website. They can see when they last received a newsletter or other promotional material. This means a sales person can perfectly time a follow up call when they know the prospect is ready and interested. Imagine calling a customer to renew their account for another term only for them to angrily tell you they have been talking to support all day with an issue. Not the best timing. Your CRM needs to pull in this kind of information from across departments for sales to effectively do their job. With a central customer record and history, the support team can be more effective and support times can be reduced. Zapier is a tool that allows you to connect apps you use every day to automate tasks and save time. It connects to hundreds of different apps and services. So if your sales CRM talks to Zapier, it can then talk to all these services as well. Sometimes the business system you want to talk to does not have an easy integration or Zapier connection. In this case you might need to get a programmer to code something bespoke to connect the two systems. For this to work your programmer needs access to your CRMs API or Webhooks. So make sure your CRM has one or the other. Being able to research prospects online before reaching out to them can help turn a cold lead into a warm prospect. Being able to see what they are talking about on Twitter, what they studied in college or if Linkedin says they have just moved job arms your sales team with a great conversation opener. It can help put your prospect at ease and help build a relationship. Quite simply can you import and export your contacts to move them between systems. Most systems allow you to do this with a .CSV or Excel file. Ensure you can move notes and tags with your contacts as well. A sales pipeline is a visual representation of the stages a prospect goes through when buying your product or service. You should be able to see at a glance, how many leads you have at each stage. If they have just made an initial enquiry, if a sales person has given them a demo, has the prospect asked for a quote or if they have become a customer. Being able to understand which stage any prospect or deal is at and how likely they are too close, you can begin to project future trends and know early if goals will be met. A sales pipeline helps you understand your sales process and forces you to clearly define it so you can measure and improve. Number of leads and opportunities in your pipeline. The average size of deals your team are working on. The percentage of deals in the pipeline that are won. The average time it takes to close a deal from start to end. Closely linked to the sales pipeline, sales forecasting is the process of estimating future sales. It will look at the leads going into the top of your sales funnel or pipeline, the average time it takes to progress each stage and the average close rate. It will allow sales managers to predict achievable sales goals, efficiently allocate resources and plan for future growth. When it comes to effectively coaching your sales reps, identifying issues and improving the overall performance of your sales team you need to be able to see activity on an individual sales rep basis. If a particular sales rep is hitting their targets out of the park, you need to see what they are doing differently so you can learn and apply it to the rest of the team. You need to be sure that your customer data is stored on secure servers and uses a security (SSL) cert. A common configuration for web apps uses industry-leading Amazon servers in data centres protected by physical barriers and guarded 24/7. The data is encrypted using 256-bit encryption, very similar to internet banking. A secure website will show a green lock icon beside the web address in a browser and will start with HTTPS like this Paypal example. A good CRM will have secure user roles with strict permission settings. It ensures that the sales people with access to the CRM can see only the leads and information they need to. If you’re using a cloud based CRM system (meaning your data is not stored locally but on a secure server), you need to know that regular back up’s are being undertaken on daily or weekly basis. Ensuring you have access to your CRM 24/7 is vital, so checking out the “Uptime” can also be a deciding factor. 100% uptime is nearly impossible or if absolutely required will cost more than the GDP of an entire country. In reality software companies may on occasion experience “downtime” to facilitate major application updates. Having an uptime above 99% is a realistic level of reliability where you and your team should not notice any down time..
Trialling a product, doing the demo and researching the features will only get you so far. You need the opinion from those at the coal face using the product day in and out. Google for “Product name Reviews”. Look at the company’s Twitter and LinkedIn pages for reviews and testimonials. Product listing sites like capterra.com and g2crowd.com often have customer reviews and do not forget to check app store reviews for the mobile version. There is no point getting a CRM that can do everything but no one can use it. An effective CRM helps a sales person do their job quickly and effectively then gets out of the way. It needs a simple and intuitive user interface where a sales person is left in no doubt what to do next and how. Research by InsideCRM found that 55% of sales reps named ease of use as the most important feature for them. Ease of use is one of the key reasons CRM adoption fails which you can read below. As mentioned above. You do not want to be paying your sales team to enter data and neither do they. You want a sales CRM where data import is as automated as possible. And where a Sales rep must enter data you want it to be as easy and fast as possible. And of course, do not forget your 1-3 business objectives above. After neglecting to clearly define business objectives the second biggest reason CRM adoption fails is because sales people and sales managers have not really committed to the software and process. Do not underestimate how big of a challenge it is to introduce a new CRM. Yes it might be ‘better’ but you are asking people to change and change is hard. Yes it might be ‘better’ but you are asking people to change and change is hard. A study by the Gartner Group found that businesses spent nearly $20 billion on CRM in 2013. The adoption rate by end users, however, was less than 50 percent which has not changed much today. 1. Business goals for the CRM are not defined. To ensure that sales reps buy-in, CRM decision makers must involve them in the selection process. Managers must meet the stakeholders to analyse the needs and answer a few questions early in the CRM selection process. A good idea is to designate someone in-house as being responsible for keeping the CRM in check, the CRM advocate of your company also known as “the super user”. 3. System is difficult or slow to use. A CRM is a tool that will be heavily used by non-IT users. It needs to be simple and make their job easier not harder. The user interface must be very friendly and appear simple and responsive. A sales person must be in no doubt what is happening at any time and how to do what they need to do next. 4. Too much data entry. A good sales CRM asks for the minimum of data and makes it as easy as possible to add it automatically. It should ideally eliminate manual logging of interactions and activities. All calls, emails and replies should ideally be recorded automatically within the CRM or added with a single click by the sales team. Many CRMs provide browser and email plugins where a contacts details can be added to the CRM with a single click. And the CRM should allow integrations with the businesses other systems so contacts can be added from many sources, be they marketing, customer success or more. If a sales person has to spend their time updating contacts details, they will simply avoid the system. They are getting paid for sales not data entry. 5. Poor training and onboarding. Getting to know and use new software and a new process is not something that happens overnight. It can realistically take up to a week or more depending on how many people you have on your sales team. You need to give your sales team this time to get familiar with the software and not penalise them for lost sales during this transition. 6. Poor choice of CRM. Choosing a CRM which is not right for your business can cost you in time and money. It must fit your sales process and help everyone achieve their stated goals. 7. The organisation does not use the system. While sales may be the core users of a CRM they should not be the only ones. Ideally, the CRM should be THE system of record for all customers. This way when a sales person is about to call a prospect to renew for the upcoming year, they can see in the CRM updates from accounts if they have paid their last invoice, from customer support if the customer has had any problems lately or from marketing if the customer has downloaded any information on the new product upgrade. Suddenly the value and importance of the CRM goes up for all departments and usage is assured. Lack of organisational use can also be due to lack of technology integration options within the CRM which probably means you have chosen the wrong CRM. If management ask for sales reports directly from sales people and bypass the CRM, sales people will simply ignore the CRM. It sends a signal down the chain that not using the CRM is not only condoned but actually OK.
Management needs to lead usage of the CRM and lead by example. Many managers use the approach of “If it’s not in the CRM, it didn’t happen” approach to employee performance although this might be a bit extreme. But a CRM first approach can be effective. If an organisation and management do not use a CRM the data within it quickly becomes out of date and sales teams no longer trust it. 9. Lack of change management. It is also important for management to oversee, guide, involve and lead the changeover. Dumping a new sales CRM on the team one day will just engender resentment towards it. According to a survey conducted by Forrester Research, “people” issues are the biggest challenge to a successful CRM implementation. These “people” issues fall into three distinct categories. Hold regular meetings to ensure parties are updated on what’s been achieved, what hasn’t, what’s going to happen next, etc. Ask for rep feedback on the process so far and any ideas to improve upon it. And above all, celebrate your wins and celebrate them often. A good CRM system will have great customer support. However it is not a match to having an internal CRM champion. Nothing is as effective as having someone on the team to lead by example. They should be there to answer questions from the sales team when they run into issues, shout about the benefits and results of the CRM loudly and often and watch for the team avoiding using it for all kinds of reasons. 12. BUT! Avoid the trap of using sales compensation to drive CRM adoption. As Steve McKenzie, VP of sales at InsightSquared discovered, it drove the wrong kind of engagement and resulted in an increase in resentment by the sales team. They need to see the benefits for themselves, not for management. You need to drive user adoption correctly. If CRM implementation is not managed correctly the results can have a domino effect. If the sales people do not record their activities and make note of interactions with prospects and customers early in the pipeline then the end of the pipeline gets bogged down with the sales rep hunting for information across emails and notes. Sales managers are then unable to evaluate the health of the sales deals in the pipeline or their team’s performance because of inaccurate and incomplete data. In the end the gap between sales reality and the sales managers’ perceptions results in inaccurate sales forecasts and missed targets. List out the top 3 business objectives you want the CRM for sales to help you achieve. Select 3-5 sales CRM applications you think might be a good fit. Choose a list of core features and evaluation criteria. Obtain the total price for delivery. Score each CRM on how closely each CRM feature matches your criteria. The core features of a great CRM for sales. The 2 reasons CRM user adoption fails. Business goals for the CRM are not defined.